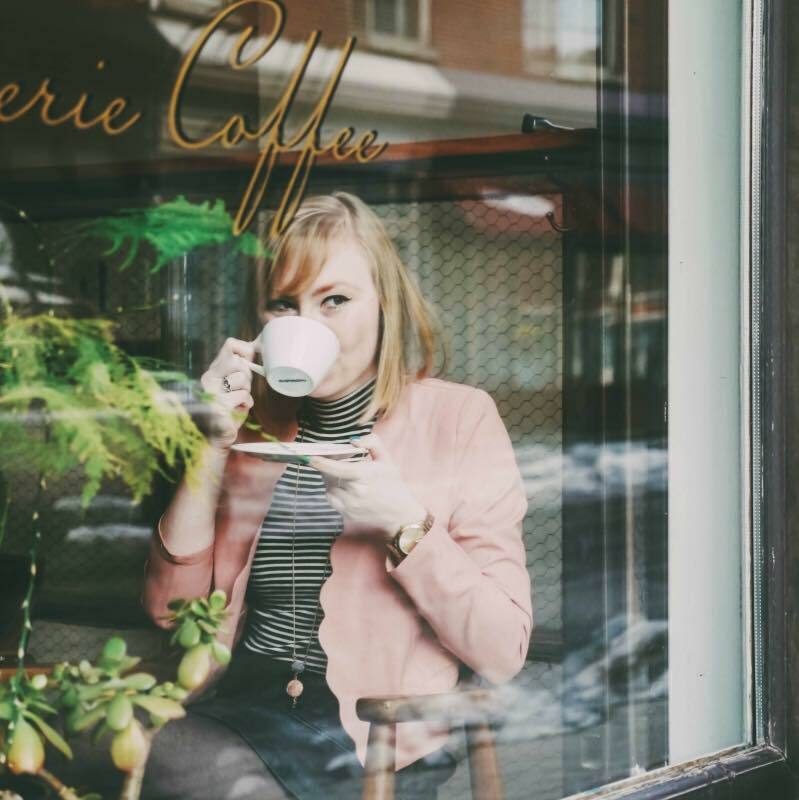 There are so many great things about spring. The trees are blooming, the sun is shining, the weather is warmer and everything just feels alive again. I finally want to take the most scenic routes when walking to the grocery store or to work, even if it takes a little longer. 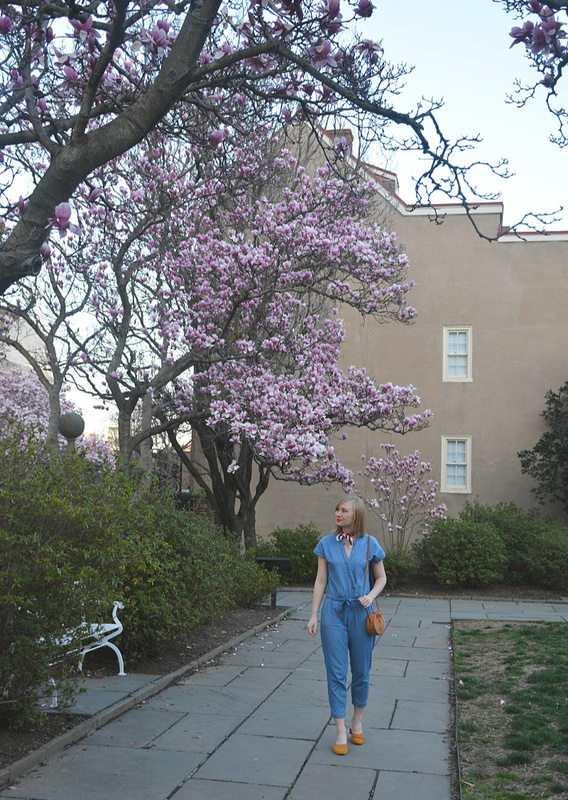 This little park is on my walk to Whole Foods and I couldn't resist stopping in to admire the blooming trees. For a city, Philly still has so much green space to appreciate. I'm hoping that sometime within the next week or two Derek and I will be able to go on our yearly spring picnic date in Fairmount Park, which is one of the largest urban green spaces in the entire country. 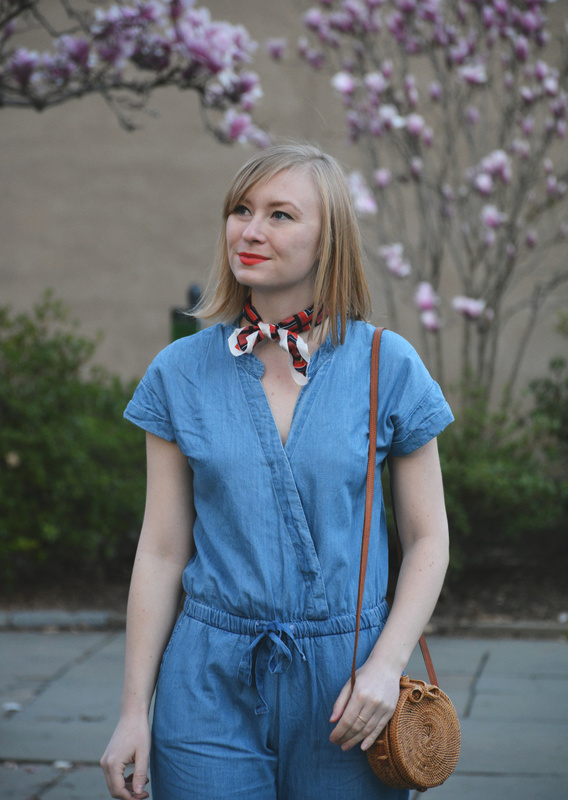 I've had this chambray jumpsuit for years but it's still one of my spring staples! 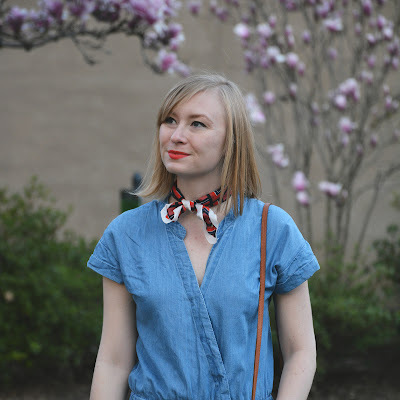 Chambray jumpsuits are so easy to dress up or down and I love the way this one looks with a silk neck scarf. I think it would also be super cute with a pair of booties and a bandana as well! For a simple Sunday I decided to pair it with a pair of yellow mules (they also come in black!) and a straw circle bag. 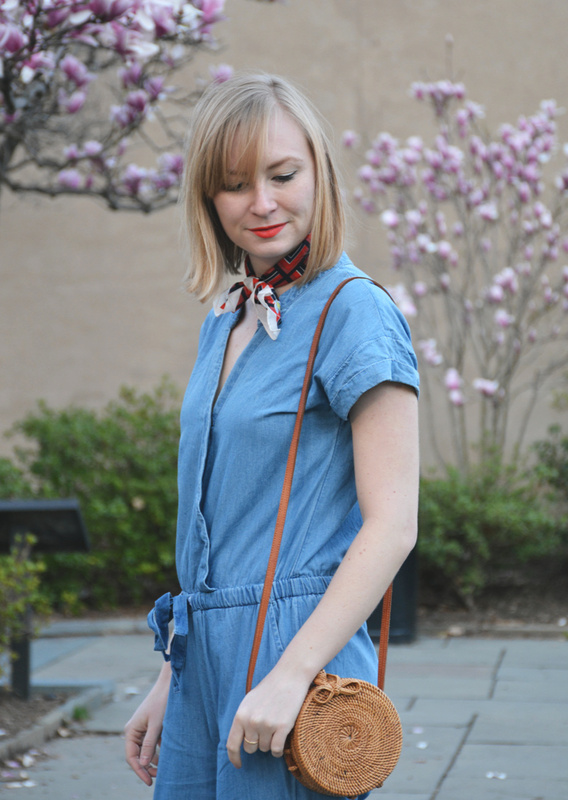 Fun accessories are key when it comes to styling a chambray jumpsuit! And I love that you can pair almost anything with it. 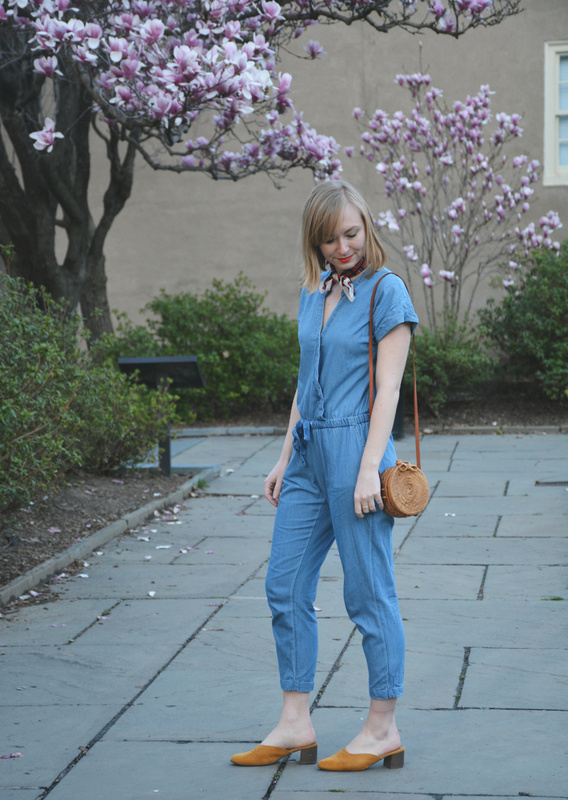 How would you style a chambray jumpsuit? 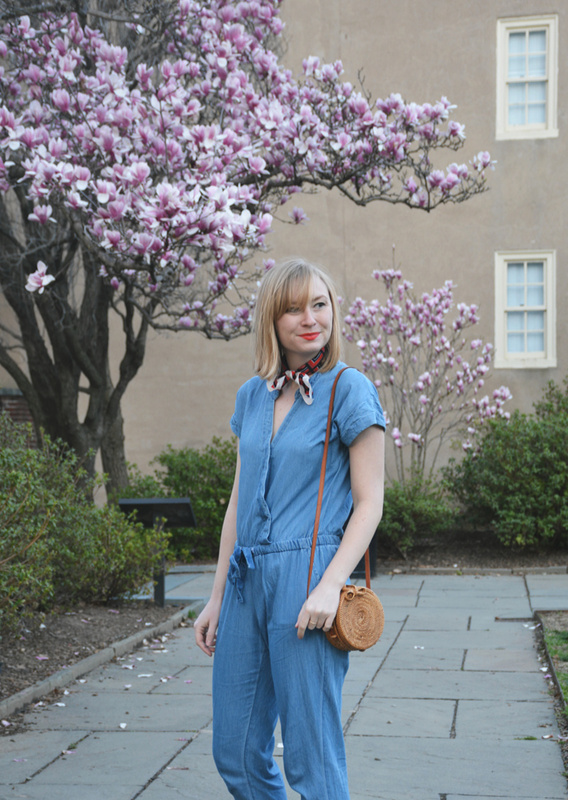 This jumpsuit is so cute!! 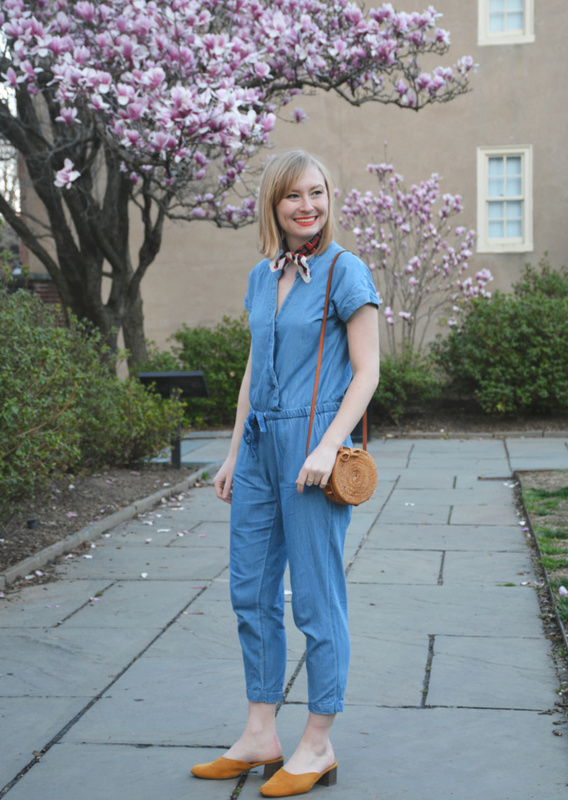 That jumpsuit is so ridiculously cute. And I LOVE your accessories! 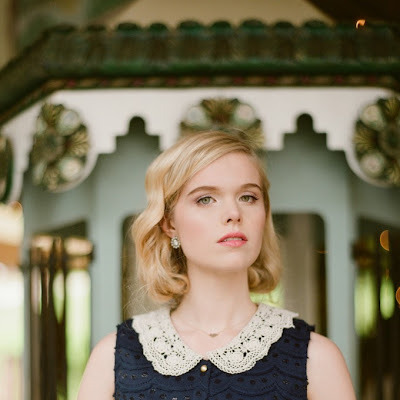 You always look so stunning. Yes!! 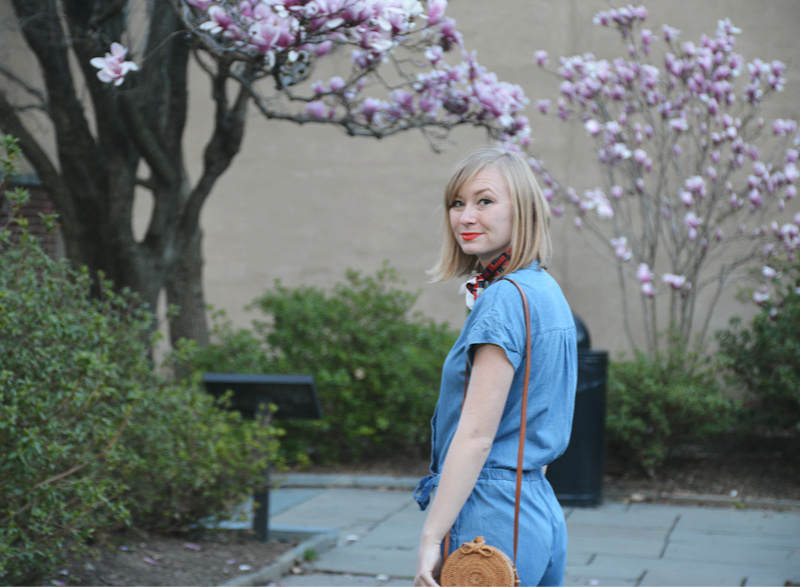 I love denim and chambray jumpsuits. 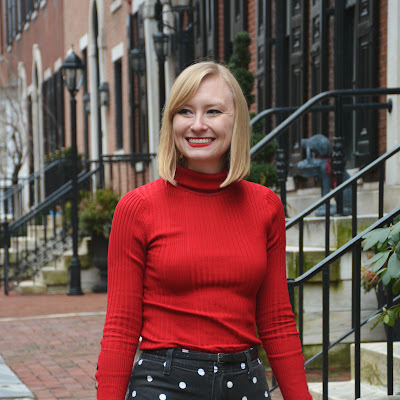 I recently got one from Aritizia and it's my favorite item in my closet right now!